The victim of the trending news about the Stolen Facebook Account for a ransom of more than P200K asked by hacker had surfaced in the Philippines this month of September. 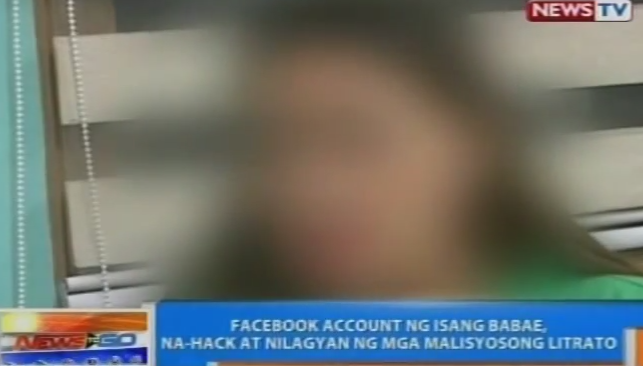 A 33-year-old woman in Pampanga was the owner of the said hacked Facebook account that was ask for 217k PHP. The victim's life become miserable after her Facebook account was hacked and the attacker posted malicious photos of her on it. According to GMA News, the said Facebook hacker contacted the woman and demanded 217,000php in exchange for access to her account. But the price gets higher from their first deal. She lost many friends and her own husband because of this incident. According to the investigation, the malicious photos posted was the woman's face as she claimed but it have been manipulated to make them look malicious. The victim soon asked police assistance that led to the arrest of the suspect who turned out to be her neighbor. The alleged hacker was captured and five mobile phones were recovered which they believed been used on the victim's Facebook account hacking. A handgun and the marked money were also recovered, as the report says.